Sleep. Eat. Be bored. Repeat. This was what my holidays consisted of. 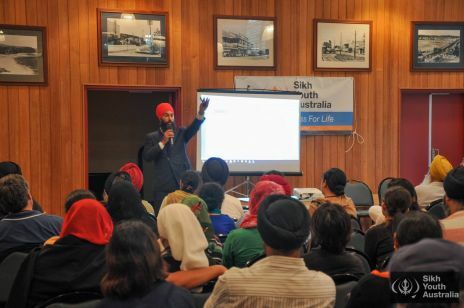 That is, until the 5th of January 2016 when the 18th Sikh Youth Australia Summer Camp officially began. The weather certainly didn’t dampen our moods, with youth eager to get their yearly dose of spiritual enlightenment and kids buzzing with excitement; the first day of camp was sure to be a success. Jathas were named after four raags- Basant, Kannara, Ramkali and Bilawal proving an interesting yet challenging environment for both youth and elders. After intriguing ice-breaks all participants of the camp got ready for the arrival of Sri Guru Granth Sahib Ji. 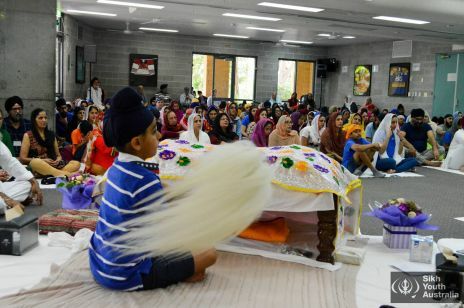 Previously, the Guru Granth Sahib Ji was welcomed by a procession of all the camp participants out in the sun, however, due to the heavy rain we were unable to give Guru Ji the big welcome which was planned by the Jathas. 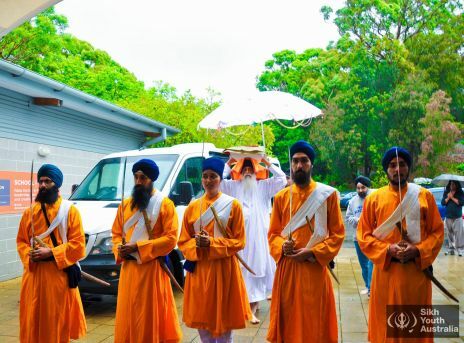 But this did not deter our spirits, chanting “oue chadar babe nanak da” we welcomed Guruji to camp and Guru Ji blessed us with was to be one of the best camps Sikh Youth Australia had ever experienced. Unlike my boring holidays before camp, a riveting day at SYA camp went something like this: Wake up. Asa di vaar. Simran. Japji sahib. IPS. Breakfast. Jatha meetings. Salami. IPS. Age group sessions. Morning tea. More age group sessions. Lunch. Jatha meetings. Free time. Afternoon tea. Jatha meetings. Rehras. Dinner. 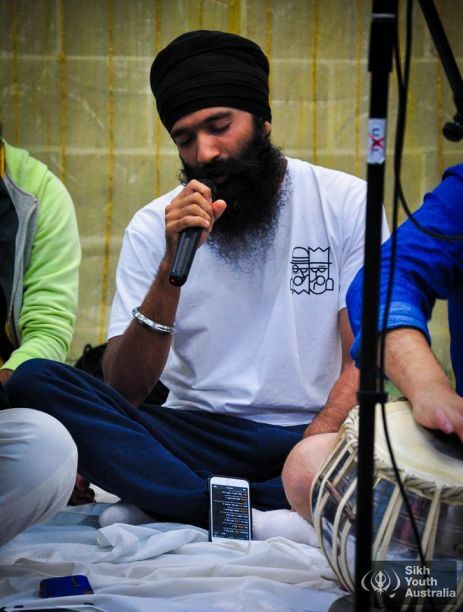 Kirtan competition. Night activities. Supper. Sleep. Repeat. (weather permitting). … Finally, something to do! IPS (inspirational sessions) and age group sessions were conducted by amazing facilitators from all around the world. This year we had Veer Manpreet Singh Ji from the United Kingdom, Manjeet Singh Ji from Malaysia, Giani Sukhdeiv Singh Ji from Gurpuri in Malaysia, Veer Hari Singh Ji and Bhain Gurdev Kaur from New Zealand, Dya Singh Ji from Melbourne. From Sydney we had Bhain Gurpreet Kaur and Lucky Kaur. 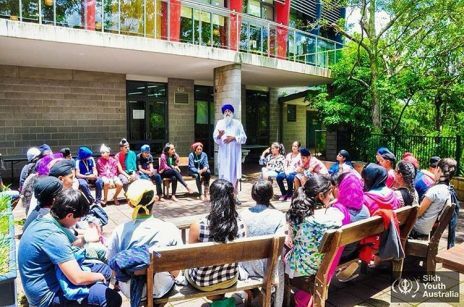 With this year’s theme for camp being “Waheguru- a Journey Within” these facilitators aided participants in delving into thoughts of self-improvement and a closer connection with Waheguru. Special Guests such as Jagmeet Singh MP from Canada and L-Fresh the Lion especially connected with youth, telling their story of growing up as Sikh boys and how they have become influential men without losing any faith in who they are or what they believe in. Jagmeet told of the racism and struggles he had to overcome in order to be the success he is today. Similarly, L-Fresh enabled all youth to think about a creative way to show the camp’s theme by mentoring children from each jatha in creating a drama piece for the last night. Amardeep Singh also graced camp with his presence and his riveting book on The Lost Heritage - Sikh Legacy in Pakistan, which illustrated the Sikh contribution to all aspects of Pakistan including spiritual, social, cultural and architectural history. The jathas participated in many new exciting competitions throughout the week. Each day we had a social media competition and the jatha with the most likes won. Some of the posts we had to make on instagram/ facebook included taking a whole jatha selfie and a selfie with an aunty without them knowing. Of course, this is a newer challenge as 18 years ago at the first camp there were no camera phones, let alone Instagram!! The biggest competition was the traditional Kirtan competition. As usual, the standard of talent and creativity showcased was amazing, with kids just six years old playing the vaja or singing with their eyes closed and hands folded. I think we have some budding kirtanis in our midst! 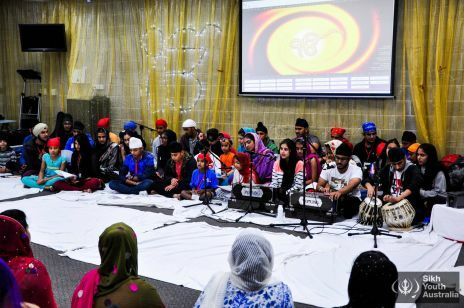 Each night after the kirtan competition, all four jathas would participate in night activities such as games night, bhangra night, talent/drama night and SYA’s infamous soccer night. It was entertaining to see everyone so lively and willing to give everything a go at 10pm even after waking up early in the morning! Jathas also had a rotating roster for meal sewa encouraging youth to get involved with the notion of sewa in Gurdwaras and the wider community with activities such as serving food, washing up and taking plates for adults all done by the youth. All the mums enjoyed seeing the kids doing the work for a change! Each jatha also put a creative twist on their sewa- from Jatha Kanara’s fine dining experience to Ramkali’s got talent and positive affirmations stuck on the tables. We also had a special guest Mr Jonathan O”Dea MP, member for Davidson, who officially opened the camp on the second day. Before we knew it, the camp was already coming to an end. It was sad to say goodbye to our friends- new and old. These people had become part of the SYA family over the 6 days and as we left, we were already counting down to next year’s camp. This camp was a really, really, REALLY exceptional experience, and I’m sure the whopping 450 people who attended this year would all agree. Hope to see you at SYA summer camp 2017!